Brad Garrett, an American actor best known for his portrayal as Ray Romano’s big brother on the critically acclaimed CBS-TV series Everybody Loves Raymond has performed a number of roles in his 27 years in show business, including actor, voice actor, stand-up comedian and even professional poker player. He started his career in 1984 as a stand-up comedian after dropping out of UCLA after less than one semester. His first big break was winning the $100,000 Grand Prize on the syndicated talent competition Star Search. That victory earned him an appearance on The Tonight Show Starring Johnny Carson. He was only 23 when he appeared on The Tonight Show and “working for Johnny” kicked his career into high gear. Soon he was the opening act for some of the top show business personalities in America, including Frank Sinatra, Diana Ross, Liza Minnelli, David Copperfield and the Beach Boys. His fame rocketed to stardom in 1996 with his role as Ray Romano’s sad-sack brother on Everybody Loves Raymond. His performances received rave reviews and he won him three Emmy Awards for Outstanding Supporting Actor in a Comedy Series. He also won seven Screen Actors Guild Award nominations (1998-2005) for Outstanding Performance by an Ensemble in a Comedy Series and took home the winning statuette in 2002 along with his fellow actors. His height (6 feet 8 ½ inches) almost caused him a problem in 2002 when he played the role of comic legend Jackie Gleason in the made-for-TV biopic Gleason. He had to be filmed so the public wouldn’t notice he was a foot taller than the famed comedian from The Honeymooners. 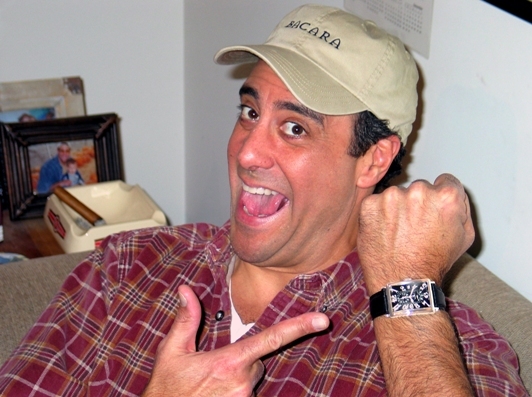 As it turns out, Brad Garrett is as serious about the watches he wears as he is about the successful roles he portrays. He proudly chose two prestigious watches from the Gevril Avenue of the Americas Collection, the Day Date Moon Phase and the GMT Power Reserve timepieces. 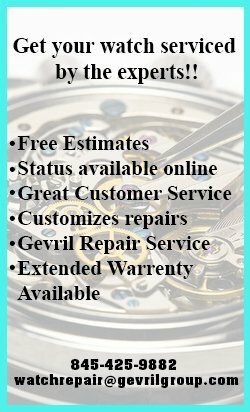 Brag Garrett and Gevril watches are two timeless performers. Brad also appeared on Broadway, on the silver screen, in another sitcom, ‘Til Death (2006-2010) and in a number of movies and his vocal talents have enriched many films including Finding Nemo, Casper, A Bug’s Life and Night at the Museum. Besides his passion for high performance, luxury watches, he realized another longtime dream in 2010 when he opened Brad Garrett’s Comedy Club at the Tropicana Hotel in Las Vegas.